Banned Books Week offers the opportunity to introduce one of the most colorful librarians in city history and her battle with the moralistic mugwumps of fin de siecle Los Angeles. Publicist and journalist Tessa Kelso didn’t have a library background when she became the sixth City Librarian in 1889, but by the time she left six years later, she had transformed the Los Angeles Public Library into a true metropolitan library. In her first year, she oversaw the tremendous move to more spacious digs in City Hall, and by the end of her tenure, the collection had grown sevenfold, and circulation soared from 12,000 to 330,000. She did this by breaking the rules, or at least the perceived wisdom: she abolished membership fees and agitated for open stacks, at a time when both of these now-common ideas were radical. She also established the first systematic training of any type for library employees. Historian John D Bruckman described Kelso as “Tough, practical, and dedicated, possessor of a large and liberal vision coupled with a healthy contempt for fussy detail, this thoroughly unconventional woman well supplied the energetic leadership which the moment required.” Her unconventionality helped her accomplish great things while making her a galvanizing public figure. She was an early and vocal advocate of women’s rights and refused to hew to the time’s traditional gender roles. She defied convention by wearing her hair short—with no hat!—and smoking cigarettes without shame. As the library’s collections grew in size, they also became more sophisticated. 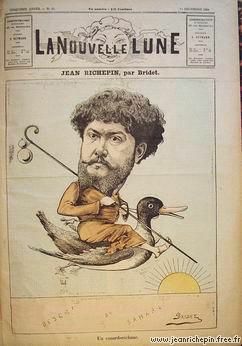 In 1893 the library purchased a large number of “French books,” including the controversial novels of Jean Richepin, who was truly bohemian: he had been a lover of Sarah Bernhardt, a collaborator with Massenet and a very close friend of Rimbaud. Steeled from her professional experience in publicity and journalism, Miss Kelso wasted no time in nipping this public scolding in the bud in the modern Californian way: She sued. The case received national attention as a test of the First Amendment’s freedom of speech—in this instance, a speech of the religious variety—which had paradoxically stemmed from an attempt to have books removed from the library collection. Thus the lines were drawn. Kelso noted that she was a not a scholar of French and that censorship was exercised by the Book Committee of the Board of Directors of the Library. The Book Committee was “zealous and painstaking in their endeavors not to admit any improper book and have at all times solicited from the patrons of said library suggestions and criticisms to aid them.” Meanwhile the pastor’s congregation expressed “sympathy and support in this unwarranted attack against him”, noting that “the greatest care should be exercised against the introduction of immoral publications into the library, and because it would necessarily endanger the moral purity and welfare of the young and old and exert such a corrupting influence upon the public”, that the pastor was indeed just doing his moral duty to “protest negligence” that had allowed such a book on the shelves and thus throw Los Angeles into a precarious state of sin, whether they could read it or not. Apparently, the concern to defend the fragile moral standards of Los Angeles from an assault by French bohemians faded quietly when the Pastor and his congregation realized that they would have to put their money where their mouths were—it seems the church settled and even paid the legal bills for the “fair plaintiff”. Kelso had won the battle, and not only that: in the spirit of Banned Books Week, it should be noted that, despite the kerfuffle around the ‘French novel”, the works of Richepin quietly remained in the collection and even today you can find his works in the International Languages Department.